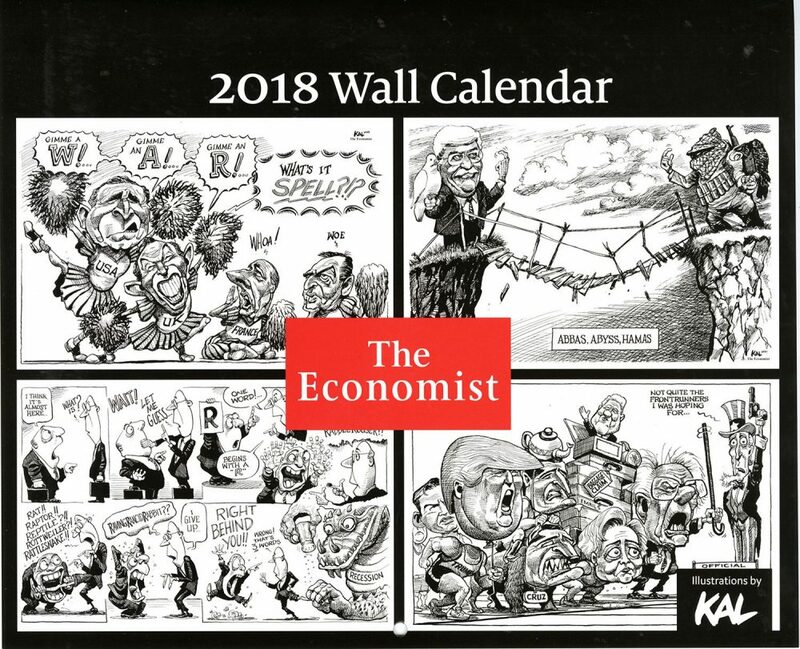 Over the past decade I have had the good fortune of creating wall calendars for The Economist. Each calendar has employed different formats. Some have involved creating entirely original content specifically for that year’s product, Others mine from the thousands of previously published cartoons in The Economist. Both iteratrions have proven to be extremely popular products. 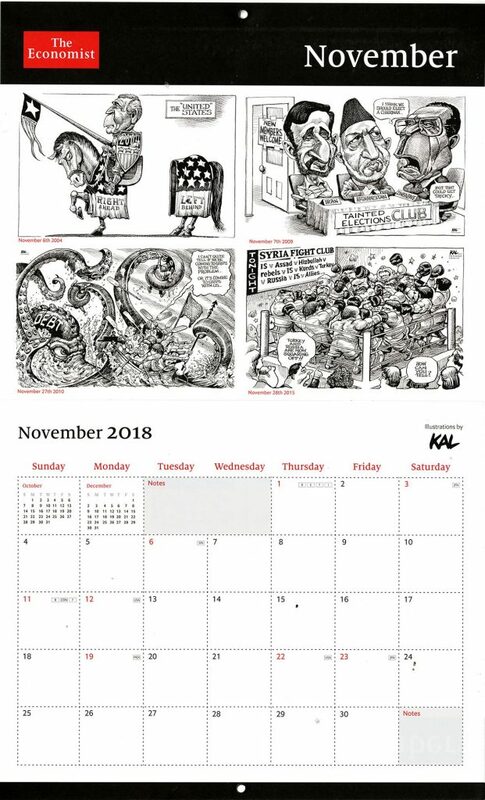 This year, we chose a format that uses 4 cartoons on each monthly spread. The cartoons at the top of the spread were chosen to represent a diverse portfolio of cartoons that appeared in that very same months in years past. Attention was made to have a a good mix of subject matter and time span. In that way, each moth of the calendar is a mini history lesson.